order YOUR SEEDS and help save them! ​Saving Our Monarchs. One Milkweed at a Time. The monarch butterfly is in trouble. Their numbers are down 90% of what they w﻿ere in 1992. And the milkweed plant population, which is indispensable to the monarch, is also down 90%. Milkweed plants are the only source of food for the monarch caterpillar. But these plants are rapidly disappearing, due to the loss of habitat stemming from land development and the widespread spraying of weed killer on the fields where they live. We want to promote the recovery of the monarch population now. One milkweed at a time. The Save Our Monarchs Foundation is solely dedicated to saving the monarch butterfly by planting more milkweed. Please join us in helping save the monarch butterfly! Save Our Monarchs is a grassroots 501(c)(3) non-profit organization dedicated to saving the embattled monarch butterflies. We are gardeners who believe that getting dirt under our fingernails and planting milkweed seeds – the monarch caterpillar's only source of sustenance – is the best way to save the endangered butterflies. One Milkweed at a Time. 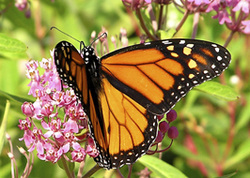 . .
How do we propose saving our monarch butterflies? It’s simple, really. We're distributing Asclepius syriaca seeds to anyone who will join us in our mission. The best way to help the monarch butterfly is to rebuild their habitat and give them the food they need to survive. We receive lots of emails from monarch enthusiasts wanting to donate extra seeds from their own plantings. We are more than happy to accept cleaned seeds for redistribution, provided you include details about species and origin. Join the Save Our Monarchs School Pollinator Garden Program! Every school, scout troop and 4H club is invited to participate in the Save Our Monarchs Pollinator Garden Program. Once enrolled, schools will receive a Pollinator Garden Mix pouch containing 17 wildflower, ten (10) annuals for first-year color, plus seven (7) perennials for second and successive years’ bloom....perfect for children to plant in a Butterfly & Bee Garden! 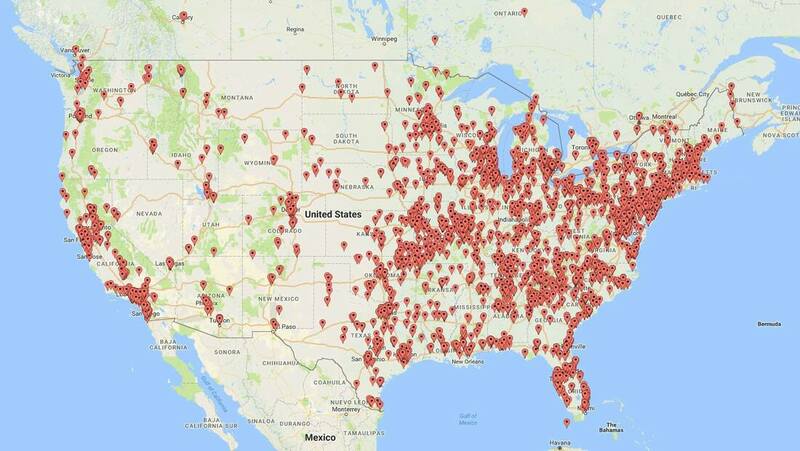 We currently have created 4,319 school gardens across the US and want 2019 to be a big success for the schools. Our goal this year is to plant over 10,000 Pollinator Gardens across the US. ​ GET YOUR SCHOOL ENROLLED TODAY! Milkweed Seed Bombs 101 provides an easy step-by-step guide for making Milkweed Seed Bombs! Seed bombs are a great project for schools, cyclists, garden clubs, 4-H clubs, scouts or even your local Garden Club. LEARN MORE! Help Save Our Monarchs this Earth Day! ​Whether you're celebrating with friends, family or planning a company event, planting milkweed is a great way to give back to our planet. LEARN MORE! Enter the 3rd Annual Save Our Monarchs Photo Contest! Visit us on Facebook for rules to enter. We will select the top 5 on our Facebook page for a final vote! ENTER NOW!